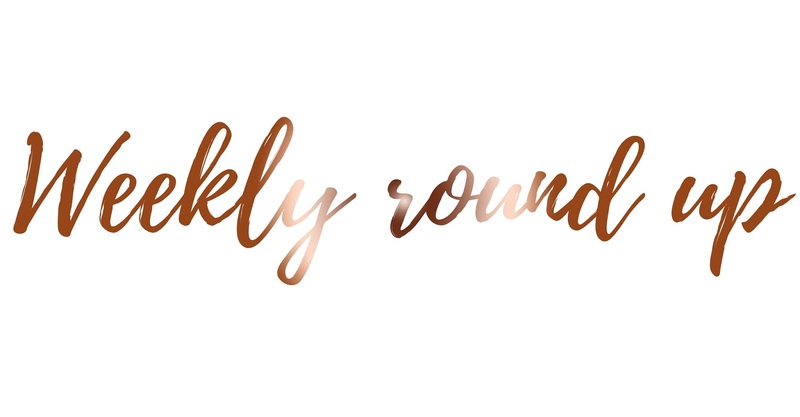 It's the fourth week of the Weekly Round Up's and to be honest, I've been ill all week so I haven't got much to tell you all! However, I did go back to University on Monday and I'm actually slightly looking forward to this semester now. I possibly have the most easiest module going, we're going to try and get it over and done with, within 6-10 weeks so we can focus on our other module; and I'm so motivated to get this module to the side and to focus on safeguarding and child abuse! (The not so great module). However because I've been ill I haven't got round to starting my uni work yet (but I do plan on doing some today). The most excited aspect of my week was going to see six German Shepherd cross Husky puppies with my mum; oh my god, you guys should have seen them! They were absolutely gorgeous, I could have taken them all home with me. But this does mean soon you'll be seeing lots of pictures of our new puppy Willow who we pick up on Wednesday once she turns eight weeks old! I couldn't be more excited to have a German Shepherd in the house again, and a puppy too! So although I have been ill, I did spend yesterday playing Sims 4 for five hours, because why the hell not? I have to say, this game is getting very addicting when I sit down for more than an hour and play it! If anyone recommends any expansion packs let me know! I'm very tempted to purchase one or two. Let me know how your week has been! Have you been up too much or have you caught the illness which is going around?